Happy Monday everyone and welcome to the new A Small Town Fashionista!! I've been wanting to redesign my site for quite some time now and I figured with my one year anniversary coming up, what better time than now? I'm so pleased with the new look and while my site was under construction all last week I was able to put together tons of new content that I'm excited to share! I was trying to find the perfect outfit for brunch one day--something cute and dressy but not too dressy. I was literally going insane because none of the outfits I was putting together did not work. Finally I just grabbed two simple pieces from my wardrobe and love the way it turned out! 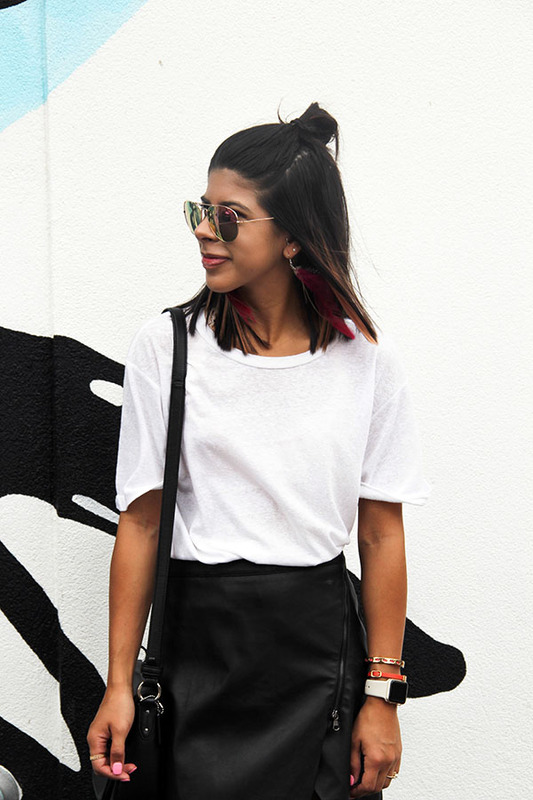 It's simple It's such a simple look but the leather skirt and white T-shirt combo fit together perfectly. I kept the accessories basic while sticking to the black and white color scheme, but you can opt for more colorful pieces. 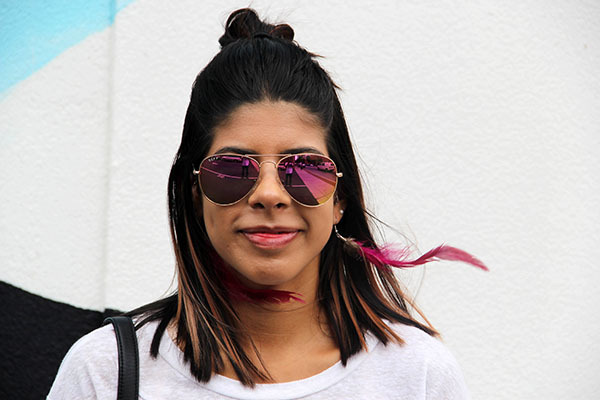 I decided to add my color through a pair of pink feather earrings. * Note that some of the pieces I'm wearing were purchased over a year ago so I linked similar options.